MOSCOW, February 11. /TASS/. 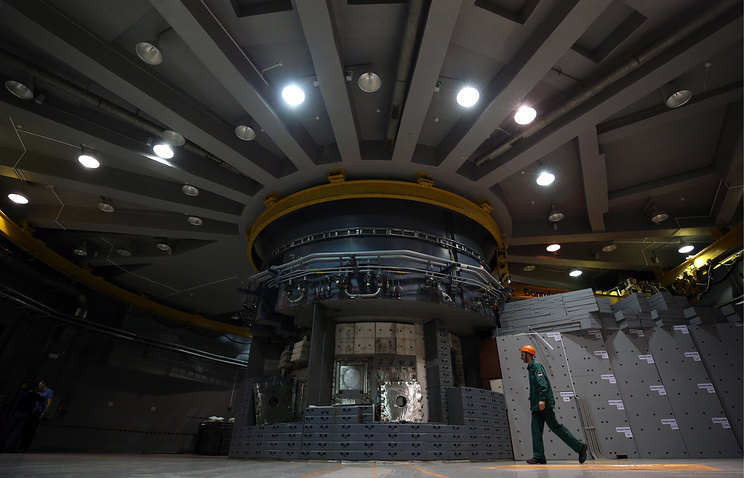 International research at the megascience class research unit International Center for Neutron Research on the basis of the high-flux reactor PIK is due to begin in 2020, as follows from materials concerning national projects published on the government’s website on Monday. International research at another unique science unit - heavy ion collider NICA - is due in 2022. Also, the first international research works are to be carried out by the end of 2024 at the fourth generation Synchrotron Radiation Source (ISSI-4) and the Siberian Ring Source of Photons (SKIF). The national project Science was drawn up in accordance with Vladimir Putin’s May decree. It is to be implemented in 2018-2024. The national project’s goal is to propel Russia by 2024 into the world’s top five countries of the world that conduct research and development in areas identified in accordance with science and engineering development priorities.